You just can't take the Dubliner out of designer Zoë Jordan. She has lived all over the world, from Hong Kong to New York, Andalucia, London and now Majorca, but she always loves coming home to the city where she was born, at the Coombe hospital. That was in 1980, before her parents took her off on the motor racing circuit as her dad, Eddie, pursued his Formula One dreams. "It's such a thrill to be home in the town where it all started for me and to show the versatility and character of the collection in collaboration with fantastic Irish talents," said Zoë, as we watched her shoot unfold for her first ever Irish Ambassadors campaign. When she lived in London with her husband, Steve, and their three young daughters, she did an Ambassadors campaign there and shot music producer Catherine Marks, taxidermy artist Polly Morgan, photographer Lily Bertrand-Webb and Zoë's mum - a striking, adventurous photographer in her own right who used to play basketball for Ireland. Zoë says her Irish shoot, on these pages, is "an ode to the natural beauty and heritage of Ireland" and so she invited a number of locals to be ambassadors and model her latest Knitlab collection. Knitlab started out as a seasonless capsule cashmere collection for women - featuring heavy ribbed sweaters with cut-out details at the shoulders and arms, cable knits and short-sleeve sweaters - and has since extended into Knitlab:XY catering for men's needs and Knitlab:JRN for children. All the ranges share the common medium of a wool and cashmere blend, usually 70:30. You can see Zoë's trained architect's eye in the designs and the clean lines, and her love of contemporary art and textures informs the tactile materials she works with. Leading the Ambassadors' charge is actor Liam Cunningham (left), who today will lead out the St Patrick's Day Parade as Grand Marshal. 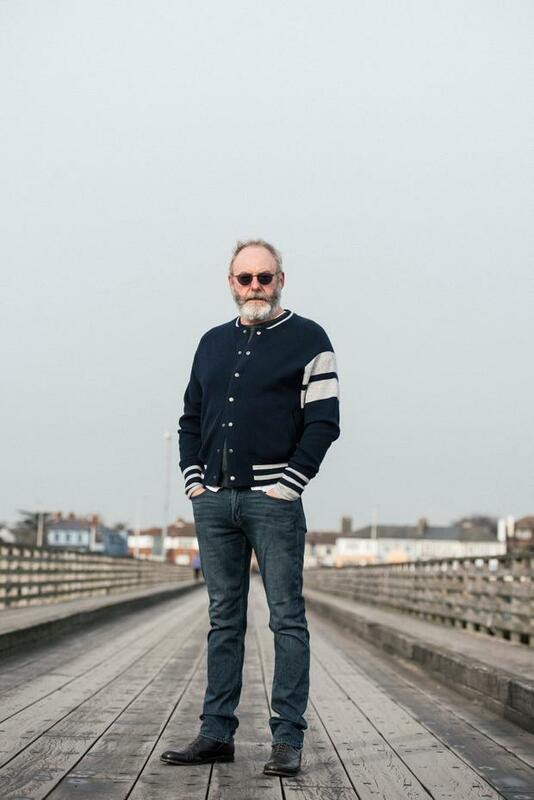 Now known the world over for his role as Davos Seaworth in Game of Thrones, Liam hails from East Wall and he didn't look far for his favourite place in Dublin - he chose Dollymount, where he was photographed by Alex Hutchinson on the wooden bridge. Like Zoë Jordan, Dublin mother-of-four Sandra O'Gorman has a passion for fast cars and for motorbikes, too. When she is not hanging out in the garage, she has a love for nature and the sea. One of the leading Irish amateur riders, Katie has a string of big race successes to her name, including the Irish Grand National in 2015. Katie became the third female jockey to win the race and piloted the 20-1 shot Thunder And Roses to victory. Katie was photographed with Thousand Stars at her dad Ted Walsh's stables in Kill, Co Kildare. Conor plays keyboard and sings vocals for the band Wild Youth, who recently topped the Spotify viral chart with their debut single, All or Nothing. He chose to be photographed in Clontarf "because it's where I write most. I get into my tracksuit and won't leave this writing space for the day!"